This creature had eluded me these 4 or so years, I’d never had the pleasure of encountering one even though they seem to be fairly common in the Port Angeles area. They are a native animal found here in the Pacific Northwest. Many years ago, James managed to take some wonderful photos of a large adult he’d found right outside the doorstep. I kept wondering when I would be so lucky! 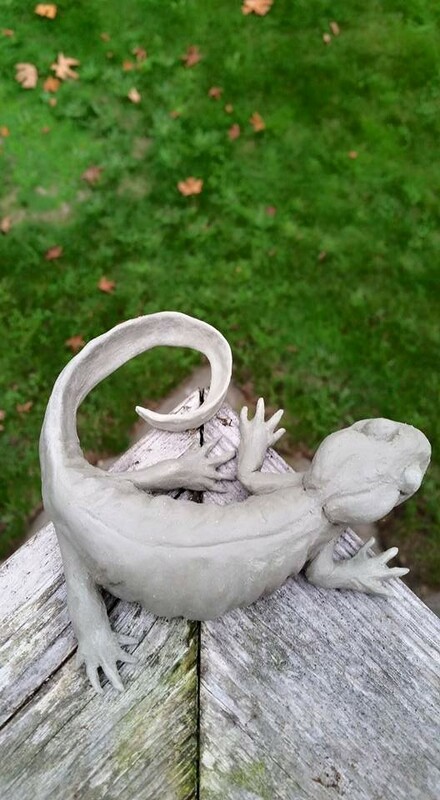 I’ve been working on a ceramic version of this animal, faithfully recreating every bump and wrinkle of the salamander, studying all the imagery I could bring up in Google search for information on what it needed to look like. 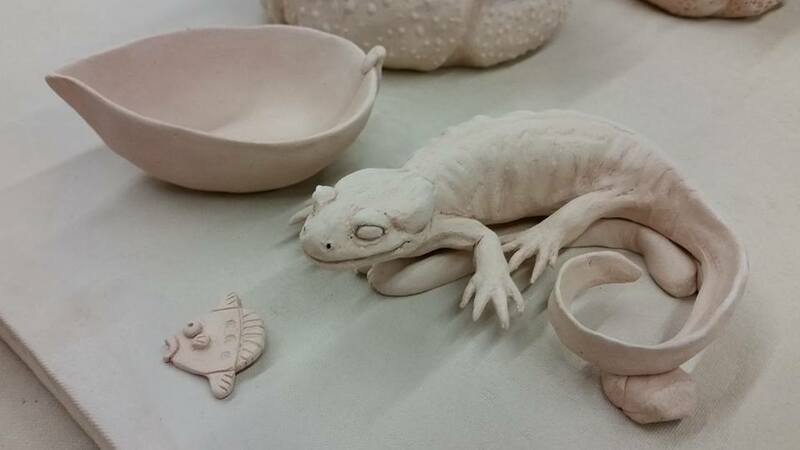 A week ago, on a very rainy night and on my way home from my ceramics class where I was continuing my work on my project, I asked James if he could drive around the neighborhood to look for Rana aurora (Northern Red-Legged Frog). I’d seen one before, but sadly it was completely flattened and leather hard from exposure to the intense summer heat – looking more like frog jerky than a remarkable amphibian. I had a feeling our chances would be good in that area. The road was dark and rain glistened silver and gold as it fell through his vehicle headlights. Every so often we would watch a pale blob leaping across the concrete in a bit of a panic, sometimes in pairs or more – all of them Pacific Tree Frogs. We neared the end of our route and James, with his almost impossibly keen eyes, spotted something unusual sitting on the road. 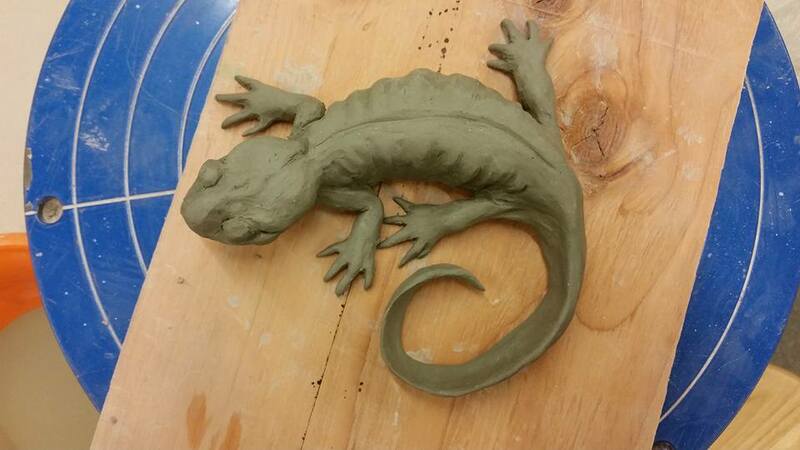 He recognized it as a salamander right away. He brought it to me, knowing I’d be pleasantly surprised. My eyes absorbed every curve and color. It was absolutely different! Facinating! 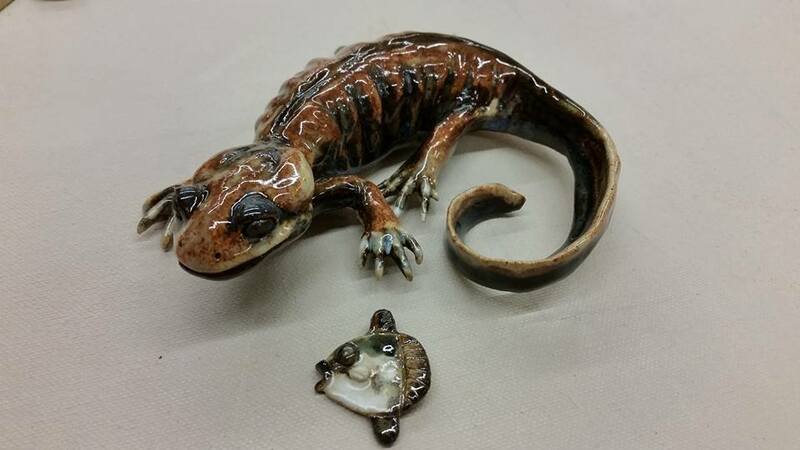 It was small, but large for a salamander. Kind of chunky, even. 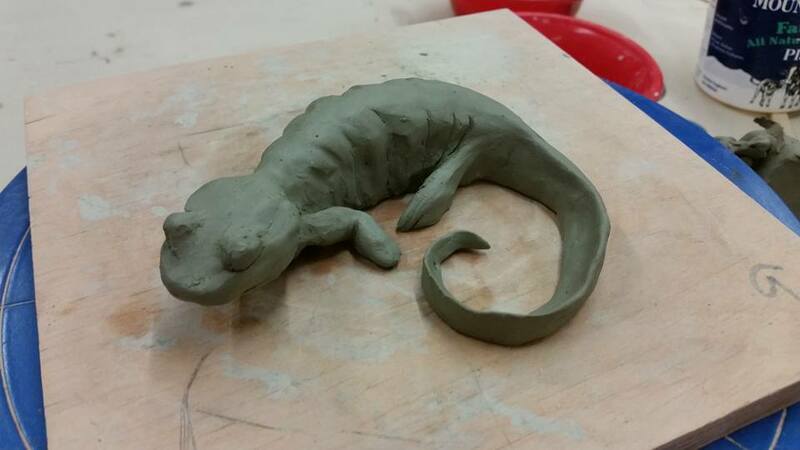 Its head looked unlike those of other species, those being sort of slender, like that of Ensatina. I looked at it more closely, moving my light across the surface of its skin to bring out hidden details and was fascinated by a number of small, rounded dark blotches, darker than the overall color of its skin, which under a flashlight was a bronzy color. These spots were a duller, dark brown. It had funny looking eyes, too. 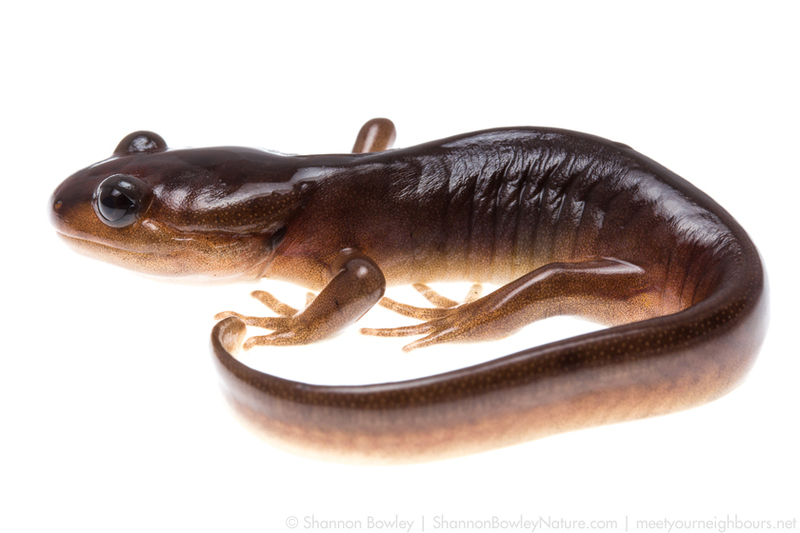 Behind those, we could see fairly pronounced parotoid glands, meaning it had to be a juvenile Northwestern Salamander – my fabled Ambystoma gracile! 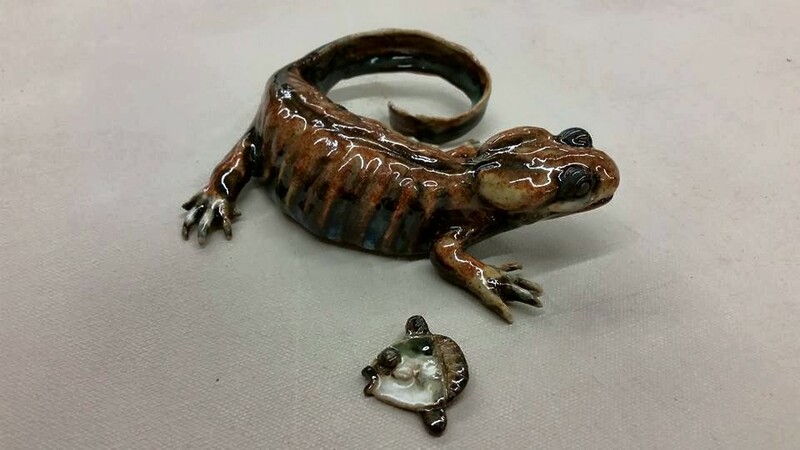 We amused ourselves with the idea that my nearly completed ceramic version was acting as some sort of totem, summoning the salamander into our presence! 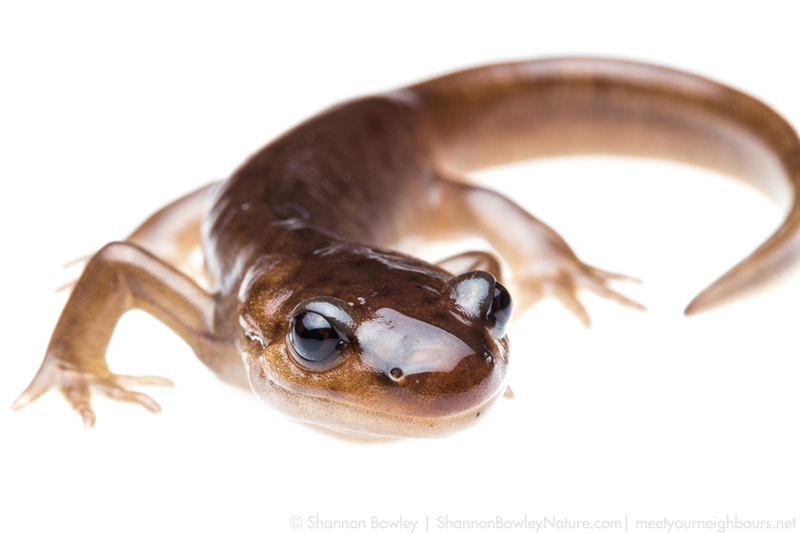 Reality was quite different, it was just an amazing night for amphibians; we found newts and other salamanders within the next few days, and were treated to the croaking of happy tree frogs, a call that is abrupt, frequent and loud. Fall is a magical time for these guys! Our little friend from the front. First day, most of the essentials tossed onto a hollow form. Second week, added toes and other details! Brought him home to continue adding and refining details. Fresh out of the bisque fire! Coated in glaze, waiting for the last fire. I was terrified he’d come out looking like a clown! Finished! Also showing is a small Mola mola pendant, a necklace I finished last night. I’ll share that one soon in another post. There you have it! The creation and discovery of a local inhabitant. 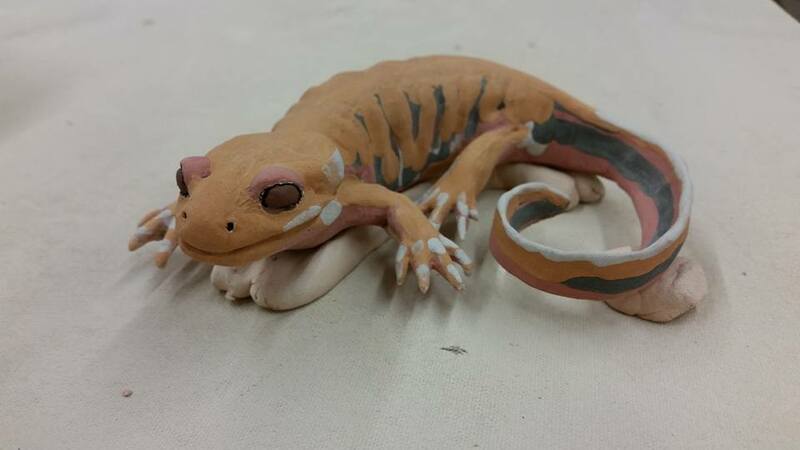 If you’d like a ceramic animal of your own, please feel free to contact me! If you’d like to keep up to date on every post, don’t hesitate to join in on the adventures and subscribe – it’s the blue button on the right side of my page (up there, if you’re down here) 😀 There will be plenty more to come, including reviews on camera equipment and lenses, other art projects and encounters with local wildlife.